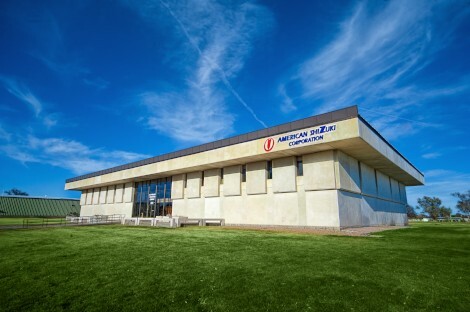 American Shizuki Corporation has been the leading manufacturer of custom film and foil capacitors for over 70 years. Application engineering and designing capacitors to your specific requirements is our strength. Originally named Goodall Electric Company, the company was founded in the 1940s by Robert Goodall, an Ogallala, Nebraska inventor. A pioneering figure in electronics, Goodall supplied capacitors for proximity fuses for the United States Navy. His company also produced fishing reels, soldering machines and watch cleaning machines. The Goodall capacitor division was purchased in the 1960s by TRW Electronics. Well known for capacitor development, TRW was involved in many aspects of capacitor electronics, ranging from televisions to space exploration. TRW’s focus was primarily DC capacitors as well as resistors and diodes. 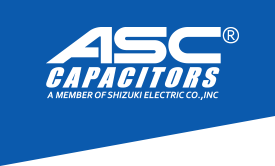 Shizuki Electric purchased the capacitor division in Ogallala in 1987. Shizuki brought AC technology to Ogallala and began making motor run capacitors in addition to the DC capacitors that had been developed over time by Goodall and TRW. ASC now produces DC products rated from 50V to 30,000V and AC products from 120V to 2500V. End applications change as technology progresses, but polypropylene film capacitors are still a preferred technology, and have become much larger in size than those produced in the company’s earlier days. Today, ASC capacitors are used in numerous applications worldwide, including wind and solar power conversion, variable speed motor drives, electronics, military and power conditioning.